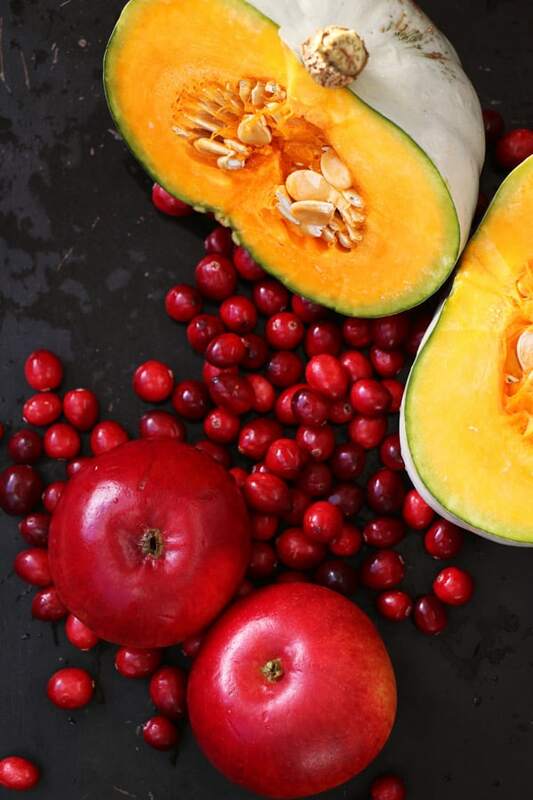 Squash, pumpkin, I can happily be eating one every day now while it’s in season, it’s so perfect for my sweet tooth. I love the flavour, the subtle sweetness and the fact that it can be used in so many different dishes. 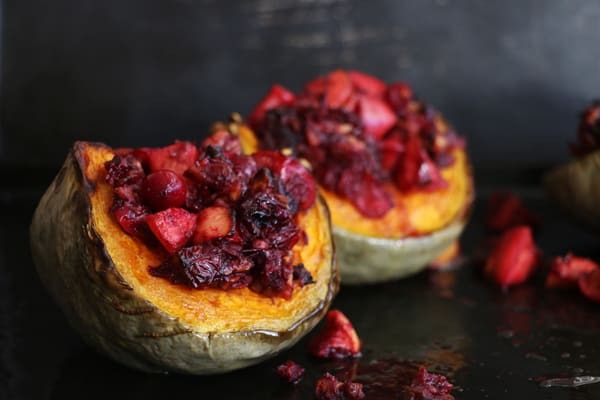 I had plenty of cranberries left over from making my Cranberry, Almond and Orange Muffins and so I’ve used the rest to make this yummy Baked Squash with Apples and Cranberries. Just the perfect recipe for the festive season to complete any meal. 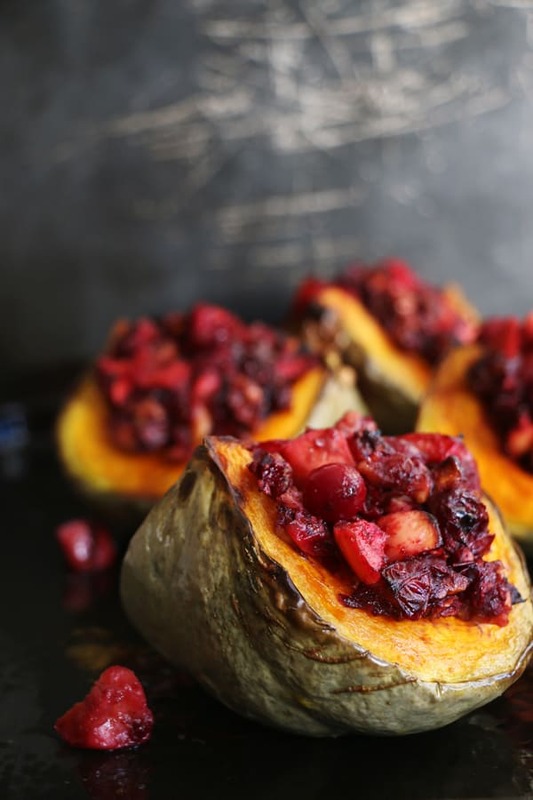 For this recipe I’ve used blue Hokkaido squash as I had some at home, but any squash would easily work. 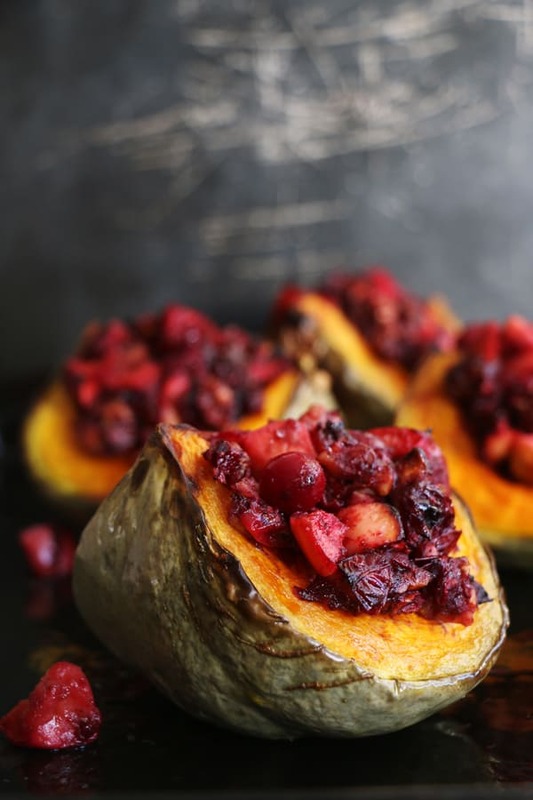 I’ve seen this recipe being often used with Acorn squash cut in half. You could also use two smaller ones instead of one, just keep in mind that it does need to sit nicely on the tray to keep the apple and cranberry mix in. Apples and cranberries can be quite sour and so I’ve added dates, maple syrup, cinnamon and cloves for extra sweetness which works so lovely together. Also you have to pack the mix in, it’s quite a large amount, but that just makes it even better. Enjoy it as a part of a festive meal. 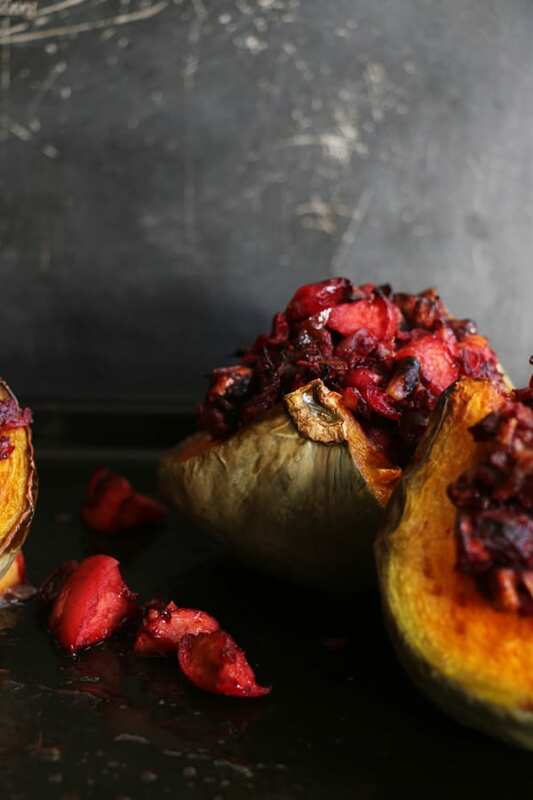 Craving something hearty and delicious just like this baked squash right now. SO perfect for the rainy weather here in Aus!